As personal stories emerge out of the shadows about ministers who struggle with various levels of mental wellbeing, an unacceptable truth for the church has emerged: it’s not acceptable for spiritual leaders to have a mental illness. I wish such harsh statements were simply fiction. However, it is becoming a familar refrain in conversations about mental health and the church. Why, we ask, is it unacceptable for ministers to have mood disorders? Surely the sentiment is that “it is not acceptable for ministers to have such mental illnesses” and not be in active recovery and treatment. If only. Stigma around mental illness profoundly impacts the church and its clergy. 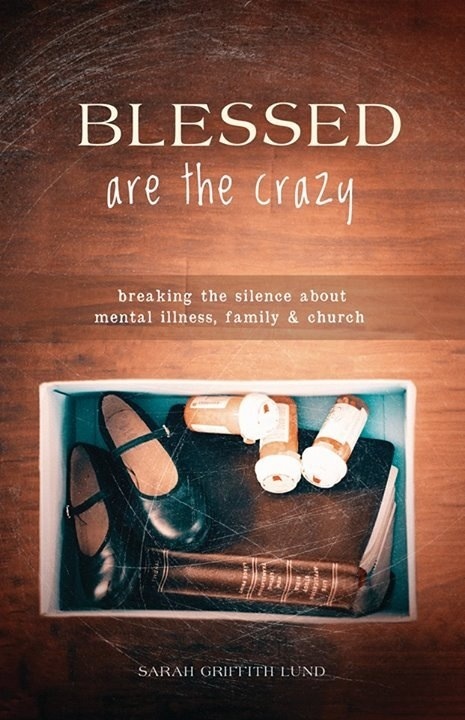 In sharing my own story Blessed are the Crazy: Breaking the Silence About Mental Illness, Family and Church, I have heard across the country how deeply Christians are personally impacted by mental illness. At the same time, most often, the depth and the complexity of the suffering caused by mental illness remains hidden from the church. Why hidden? There is real fear of rejection, misunderstanding and judgement in the church by Christians. So secrets are carried into worship and then out into the world untouched by the light of truth. Recently in a clergy group discussion it was reported that a parishioner said that ministers who have a mental illness are not capable of being good spiritual leaders. Additionally, clergy who do have mental illness were encouraged to keep it a secret, not talk about it or pretend that it did not exist. This silencing is not healthy and compounds the problem by adding layers of shame to the secrecy. My question is: what is at the root of this belief that mental illness makes a minister unfit for ministry? Does living with heart disease make a cardiac physician unfit to practice medicine? Or does wearing glasses make an optometrist unfit for practicing optometry? Does having dyslexia make a teacher unfit to teach? Does having diabetes make a nutritionist unfit to teach nutrition? Does having a broken leg make a yoga teacher unfit to teach yoga? The unacceptable truth is this: clergy are humans. We are flawed. We are sinful, broken and wonderfully made just like you. There is a dangerous myth that clergy are set apart to be spiritual leaders because we are immune from despair, anxiety and hopelessness. The unacceptable truth is that clergy get depressed, anxious, and hopeless, too. It has nothing to do with faith. It has everything to do with being human. Clergy also die by suicide. It is time to reject this (un)truth. We do not want to believe that it is possible for a teacher and preacher of the Gospel of Jesus Christ, a respected and beloved spiritual leader, to experince so much inner torment, so much mental chaos and be so far from peace of mind. The truth is that faith cannot save us from these things if they are manifestations of a biochemical brain disease or mental disorder/illness. No amount of faith, not the faith of Abraham, Moses, Hannah or Mary, will protect us from experiencing depression, anxiety or thoughts of self-harm. However, faith shared within a community can help us navigate life with mental health challenges. Faith can become the means in which we are saved from shame, secrecy, silence and stigma. Ministers who are in recovery and treatment for mental illness actually can role model for congregations that spiritual health includes taking care of our physical, emotional and mental wellbeing. A minister who is in therapy and taking medications to treat a mental illness will know what it means to struggle only to emerge out of the shadows and into the light. We need more spiritual leaders like that…who know how to navigate the dark and who know where to find the light.